Ruth Fandrich has followed in the footsteps of her family and their Wisconsin history of forty years in the real estate business. Ruth’s result oriented experience in her real estate career of over twenty-five years lends to her compelling knowledge in both the national and international corporate arena. A decade ago, the life changing decision to move to Saint Augustine was made in one day. While driving through Saint Augustine, Ruth and her husband John stopped for lunch and marveled at the beauty, and enjoyed the friendliness of the locals. When presented with the opportunity to relocate from Europe to the United States, Saint Augustine was their number one choice. The allure of the old, the new, the island lifestyle, and the convenience of amenities were the draw to this charming city. “Living in Saint Augustine offers endless opportunities for everyone, no matter what their dream may be. Culture, entertainment, beaches, dining, a sense of community, and the flavor of Colonial Spanish history completes this hidden gem”, states Ruth. 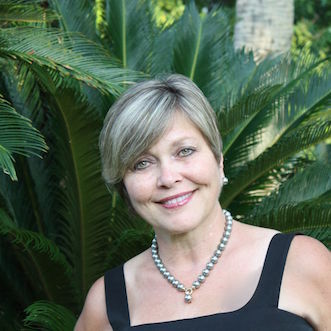 As an agent for Prudential California Realty in Laguna Beach, CA, Ruth covered the coastline from San Diego to Newport Beach. Ruth achieved Leading Edge agent status within her first year at Prudential Real Estate. By offering concierge service, attention to detail, and professionalism to all of her customers, she reflects her genuine passion for success and customer loyalty. Ruth’s clientele includes dignitaries, corporate groups, and numerous clients fulfilling their dreams of home ownership. For her clients, excellence of service was a standard not an option. Ruth’s past experience stems from the insurance industry, corporate interior design, the European luxury yacht industry and global logistics, while balancing raising a family. Her experiences while living in Italy, Austria and England and the exposure to the International arena bring a key element to Ruth's exceptional service and define her skills. Concierge service, attention to detail and the professionalism that Ruth offers will help you find your perfect place in the Sun! Ruth and Berkshire Hathaway Home Services Florida Network Realty are waiting for you!